But BUY from a REAL Store!....US! before Shopping for Gowns Below! Looking for Prom Dresses Pensacola , Milton , Pace, Gulf Breeze and Navarre? Simply Elegant Couture has the best selection. The selection of your Gown is absolutely fun at Simply Elegant Couture. Visit us soon as you can to find your Homecoming Dress in pink white red purple yellow or any color you desire. Whether short or long, we have the best selection. Sherri Hill is the most popular Designer and we carry stunning designs by her. The best selection is August and January. Don’t miss out.. we can order practically any gown. 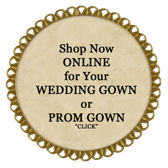 SHOP for Your Prom Gown Now!